Young people are often categorised as politically disengaged and apathetic. 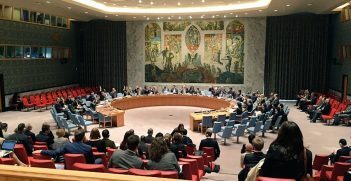 A program backed by Australia and the UN is seeking to shake this image, engaging youth and giving them a voice at the highest level of global politics. For at least the past several decades, curriculum designers and policymakers around the world have envisioned young people to be citizens ‘in the making’ or even blamed them for a so-called ‘democratic deficit’. However, a wide range of research has shown that youth are not as inactive or apathetic as frequently assumed. When young people neglect to participate in the ways adults and governments might expect them to, blame is often placed on the youth themselves. However, older adults and public institutions would do well to reflect on the ways in which they might exclude young people, fail to listen to them, or perpetuate inaccurate stereotypes: suggesting they are a selfish generation uninterested in the common good. Even when youth do try to have a say on government policies, politicians and the media often publicly shame them for not doing it the right way. While they often have little or no say in formal political processes, young people around the world practice citizenship in a number of ways in their everyday lives. Although this work often flies under the radar of the political elite, at times youth take the chance to participate in more formal political processes, even at the global level. On Friday 2 June 2017 in Geneva Switzerland, nearly 100 participants took part in the Youth Forum ahead of the June 2017 meeting of the UN Human Rights Council (UNHRC). Today’s young people are the largest youth cohort in history; in light of this, several speakers remarked on the importance of this event. 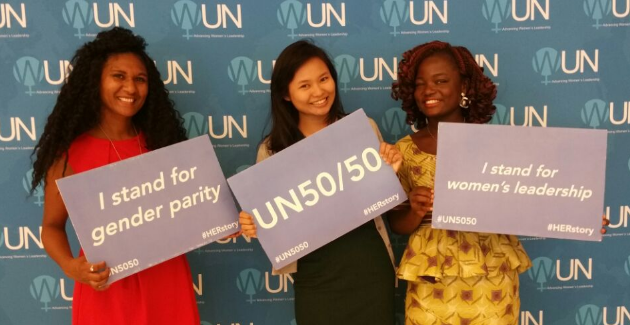 Hosted by the World YWCA, the program included an intergenerational dialogue, a session explaining the work and procedures of the UNHRC, and a number of working groups. The main aim was to promote young people’s meaningful participation in the UNHRC, provide a space to discuss issues important to them and to share their concerns with decision makers. 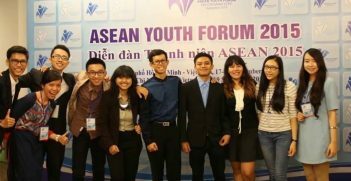 The Youth Forum, now in its second year, demonstrates the potential for long-term involvement of youth in global politics. Much of the youth participants’ discussion focused on the need for institutionalising avenues to facilitate youth participation and engagement in the UNHRC as well as related institutions. These efforts support statements and actions made by former UN Secretary General Ban Ki-Moon, who set working for and with youth as a priority in his Five-Year Action Agenda and called for a UN System-Wide Action Plan on Youth, which has since been initiated. Similar to youth parliament programs, participants in the pre-UNHRC Youth Forum learned about how the UNHRC works and had ample opportunity to have their voices heard. Scholarship holders also followed up the one-day Youth Forum event with two days of intensive training on how to get their message across to decision makers in preparation for lobbying efforts to deliver their youth declaration. As the program’s principal donor, the Australian government offered ample financial support for youth to get involved in this opportunity with the UNHRC. In doing so, Australia has taken a lead in recognising that young people have fundamental rights to participate in decisions that affect their lives; as enshrined in a number of international agreements such as the International Conference on Population and Development’s Programme of Action and the Convention on the Rights of the Child. In watching the youth participants’ progress, it is important that governments, non-government organisations, and intergovernmental bodies adapt, recognising and supporting the work youth are already doing and working to make space to include their needs and views in institutional politics. Instead of seeing local youth initiatives and global opportunities within an obvious hierarchy, young people’s efforts at the various levels can be understood on a continuum of political participation, ranging from local to global in scale. security barriers, such as an inability to travel due to visa restrictions on the home country. In recognising these barriers, the forum highlighted the need to recognise the diversity among youth and ensure that all efforts to further include young people take an inclusive approach, drawing in young people from a variety of regions, languages, genders, and abilities. The processes and outcomes of the UNHRC over the coming weeks will be an opportunity to consider if and how youth are being listened to at the international level and to reflect on further opportunities for their engagement, both at home and abroad. A good start would be listening to and engaging deeply with the recommendations in the declaration being drafted for release. Dr Lesley Pruitt is a senior lecturer in politics and international relations at Monash University. 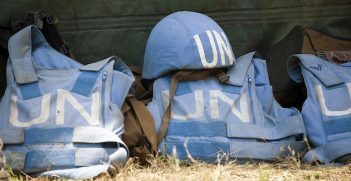 Her latest book, The Women in Blue Helmets: Gender, Policing & the UN’s First All-Female Peacekeeping Unit is available through the University of California Press.